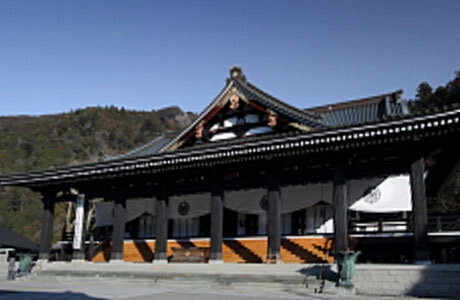 Minobusan Kuonji Temple was established by Nichiren Shonin (1222-1282), the founder of Nichiren Shu. 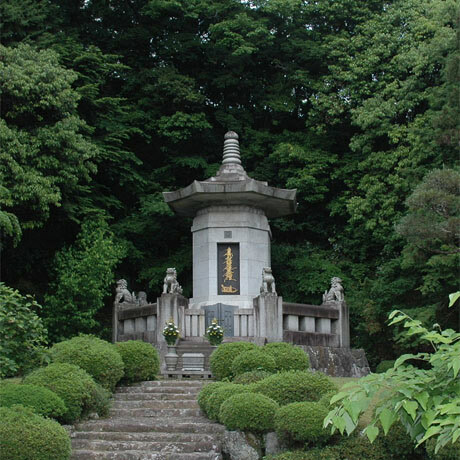 As Nichiren Shu’s Grand Head Temple, as well as the site of Nichiren Shonin’s tomb, Kuonji is the most sacred place of worship for Nichiren Shu followers. Minobusan, the holy mountain, is located in what was then known as Hakiino Go, in the old province of Kai (now Yamanashi Prefecture). The magistrate of this area, Nambu Sanenaga, was a follower and patron of Nichiren Shonin and invited him to stay after he left Kamakura. Nichiren Shonin arrived at Minobusan on May 17, 1274. One month later, he settled in a hermitage that was built with Nambu’s help. Nichiren Shonin continued his recitation of the Lotus Sutra and instruction of his disciples at the new hermitage. On November 24, 1281, however, he left these quarters to build the full-scale temple nearby, which he named Minobusan Kuonji. It would be where he would live and teach until his death. In the autumn of 1282, he set out for a hot spring in the province of Hitachi to restore his failing health and to pay homage along the way at his parents grave. He never returned. He died at Ikegami in the province of Musashi (present day Tokyo) at the age of 60. In accordance with his will, his ashes were brought back to Minobusan Kuonji and enshrined in a mausoleum there.